COMMENT At the next general election, among the demands for civil rights by the Chinese community in Malaysia, there will be one demand that I hope will not only return justice to Lim Lian Geok but also focus on all the principles that he stood for, namely, reclaim Lim’s citizenship that was unjustly taken away from him in 1961. 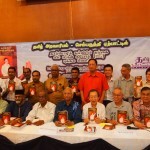 For the first time, a book in English has been published on a man beatified in the Malaysian Chinese community as the ‘soul of the Malaysian Chinese’ after his passing in 1985. No other Malaysian Chinese has been accorded that highest honour. And no other Malaysian Chinese has been so highly respected to be given the privilege of lying-in-state at the Chinese Assembly Hall in Kuala Lumpur before the biggest funeral procession the capital had ever seen for a Malaysian Chinese. The anniversary of his passing has been institutionalised as an Education Festival – an annual celebration of mother tongue education, patriotism and the spirit of struggle he embodied. His name was Lim Lian Geok, and every year during the Education Festival in December, political parties, associations and school children go to pay their respects at this great man’s mausoleum at the Hokkien Cemetery in Kuala Lumpur. He was such an important figure in the Malayan Chinese community that the Tunku had to include him in the ‘Malacca Talks’ over the constitutional issues in 1955. And yet this great man suffered the biggest pain any patriot and educator could possibly endure; being stripped of his Malayan citizenship and his teaching licence, after all his contributions towards mother tongue education, civil rights and the Independence struggle in 1961. But this great man was not your stereotype Malaysian Chinese leader in a suit driving a limousine yearning for power, wealth or honorific titles. I first met Lim when I was interviewing him for my book ‘The Chinese Schools in Malaysia: a Protean Saga’. I had read so much about him and heard from my colleagues in Dong Jiao Zong, about his courage and commitment and about how his citizenship and teaching licence had been revoked for all his efforts on behalf of mother tongue education and civil rights. When I met him in 1984, I was impressed more by the fact that this giant of Malayan history lived in such humble lodgings and had such an unassuming character. He hardly received any media attention. 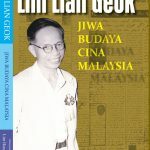 The documents in this present collection, ‘Lim Lian Geok: Soul of the Malaysian Chinese’ will be an eye-opener to many, especially the English-educated. This man who has been revered since his departure in 1985 as the ‘soul of the Malaysian Chinese’ is largely unknown or misrepresented outside the Chinese-educated community. Some of these documents pre-date Independence and it is interesting to see the issues as they were presented then, especially those of language and citizenship. If it had not been for the political machinations by the British colonial power at the time, the status of Chinese and Tamil language education in this country might have been quite different. For many, Lim is well-known as a champion of mother tongue education in Malaysia. But from these documents, it is clear that his stand was certainly not chauvinistic but was based on basic human rights, i.e. the right to mother tongue education. Thus, compared to many of his contemporaries and even present leaders, he was way ahead of his time. Another point of note is that at the time of the Malacca Talks in 1955, the common language was considered to be English and Malay schools were still treated as vernacular schools. and opportunities for interaction among the students of various communities. This brings to mind the proposal by the Chinese education movement in the mid-Eighties for interactive activities between students of different language schools while opposing the ‘integrated schools’ proposal by the BN government. It is also worthy of note that Lim stresses the fact that true unity of the nation is based upon mutual respect and equal civil rights. He says this during the struggle for independence in a Malay-language newspaper written in the Jawi. This is especially ironic since I was detained without trial under the Internal Security Act for saying the same thing in 1987! In one of the documents in this collection, one learns how on hearing that a Malay student from humble origins named Hang Tuah had attained entry to Nanyang University, Lim was ecstatic and called on the Chinese public to lend him a helping hand. His press statement likened the three main communities in the country to three siblings in the newly emerging nation. He urged the university to give Hang Tuah a special scholarship for the cause of inter-cultural understanding. nable Lifestyle: He was a simple man who led a humble existence to the end of his life, living a sustainable lifestyle and avoiding the flashy existence of the consumerist world. Integrity, Perseverance and Dignity: These core values were nurtured in his home upbringing and the educational principles taught at his teaching college, Jimei College, Xiamen. Commitment to workers/teachers’ rights and right to association: He was a modern unionist who was concerned for the welfare of the Chinese school teachers, especially their low pay and conditions and was instrumental in the formation of the KLCSTA in 1949. Commitment to mother tongue education and culture: He spoke up also for Malay and Tamil language education, and practiced true multi-culturalism. Commitment to civil rights: He led the opposition to the Barnes Report in 1951 and the Education Ordinance in 1952, the Education White paper in 1954 and the Education Act 1961. He was not afraid of any crackdown by the colonial power or the Alliance government. Sense of mission and responsibility: LLG took up the presidency of the KLCSTA in 1950 and the UCSTA in 1953 as he sensed the crisis facing Chinese education and he was prepared to face incarceration and repression by the state. 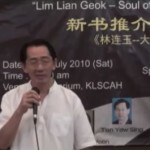 Isn’t it time the government restore Lim Lian Geok’s Malaysian citizenship that was so unjustly taken away? 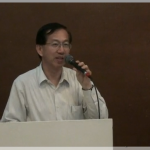 DR KUA KIA SOONG, a former MP, was principal of the New Era College, Kajang. He is also a director of human rights group Suaram. 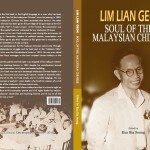 Kua edited the book ‘Lim Lian Geok: Soul of the Malaysian Chinese’, which was launched today. Photos above.